The global economy is progressing largely as the Bank anticipated in its January Monetary Policy Report (MPR). Financial market volatility, reflecting heightened concerns about economic momentum, appears to be abating. Although downside risks remain, the Bank still expects global growth to strengthen this year and next. Recent data indicate that the U.S. expansion remains broadly on track. At the same time, the low level of oil prices will continue to dampen growth in Canada and other energy-producing countries. Prices of oil and other commodities have rebounded in recent weeks. In this context, and in light of shifting expectations for monetary policy in Canada and the United States, the Canadian dollar has appreciated from its recent lows. With these movements, both the price of oil and the exchange rate have averaged close to levels assumed in the January MPR. Canada’s GDP growth in the fourth quarter was not as weak as expected, but the near-term outlook for the economy remains broadly the same as in January. National employment has held up despite job losses in resource-intensive regions, and household spending continues to underpin domestic demand. Non-energy exports are gathering momentum, particularly in sectors that are sensitive to exchange rate movements. However, overall business investment remains very weak due to retrenchment in the resource sector. 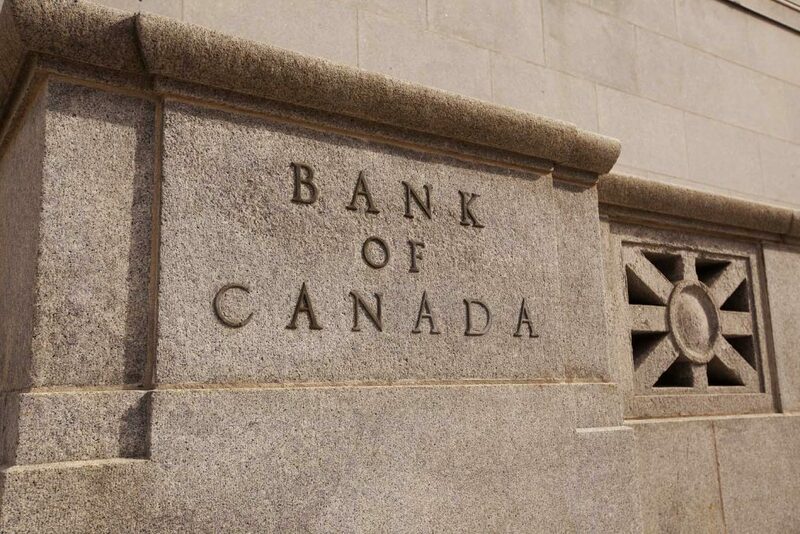 Inflation in Canada is evolving broadly as anticipated. The factors that pushed total CPI inflation up to 2 per cent will likely unwind in the months ahead. Measures of core inflation are at or just below 2 per cent, boosted by the temporary effects of past exchange rate depreciation. Material excess capacity in the Canadian economy will continue to dampen inflation. An assessment of the impact of the upcoming federal budget’s fiscal measures will be incorporated into the Bank’s April projection. All things considered, the risks to the profile for inflation are roughly balanced. Meanwhile, financial vulnerabilities continue to edge higher, in part due to regional shifts in activity associated with the structural adjustment underway in Canada’s economy. The Bank’s Governing Council judges that the overall balance of risks remains within the zone for which the current stance of monetary policy is appropriate, and the target for the overnight rate remains at 1/2 per cent. The next scheduled date for announcing the overnight rate target is 13 April 2016. The next full update of the Bank’s outlook for the economy and inflation, including risks to the projection, will be published in the MPR at that time.